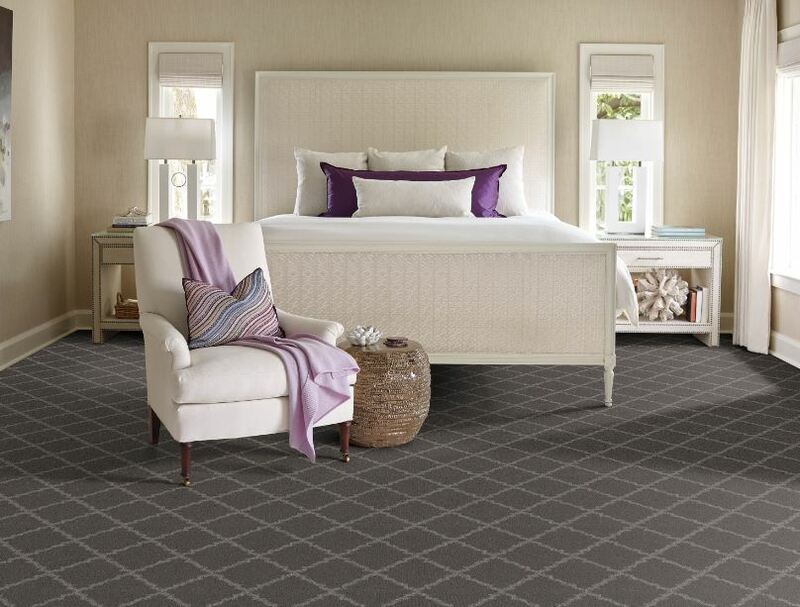 The role of broadloom carpeting has changed dramatically over the past few decades. During its heyday, it dominated both the commercial and residential landscape. Today, it is still widely installed in residential bedrooms and niche sections of commercial projects, but products such as carpet tiles and hard surface flooring continue to take a portion of broadloom carpet’s market share. Carpet, however, is driven by technological advancements in tufting, backings and face fibre. Carpet manufacturers continue to be challenged to make better products. The carpets that are being manufactured today are easier to clean, better styled, and there is more variety in terms of colours and patterns than ever before. Objectively, carpet is better than it has ever been, with everything from pet-protection, custom printing options and delamination warranties at a specifier’s fingertips. The tufting technology that is currently in use can be traced back to two primary contributors from Tennessee, USA. Card-Monroe Corporation (CMC) invented the ColorPoint machine in 2008, which was the catalyst for 10 years of change that led to major improvements and more design options in the broadloom market. The machine is able to alter designs, change construction and recall a previously used pattern with the click of a button. Another company called Tuftco, created a management information system called Tuft that enables the company to more accurately obtain information about tufting machine performance and efficiency, as well as troubleshoot problems that are impeding productivity. Carpet mill managers have access to a whole host of metrics during the tufting of carpets thanks to this Windows-based solution. Tufting wouldn’t be what it is today without significant developments in fibre technology. Over the past decade, companies have switched from staple fibre to bulk continuous filament (BCF), which has improved as extrusion equipment advanced over the years. Shaw Carpets, for example, doesn’t use spun yarns at all anymore – both its polyester and nylon fibres are all BCF. Nylon BCF accounted for 45% of US consumption in carpet and rugs in 2007, but this rose approximately seven points from 2009 to 2011. Polyester face fibre was then introduced to the market and by 2015, nylon BCF was back to around 45%. One of the fastest growing developments outside of shifts in face fibre polymers is ultra-soft fibres, which is also a major development in fibre technology. The polyester of today is very different to first generation polyester, which is one of the reasons for polyester’s rise to prominence in the broadloom carpet sector. By using resins that are about half the price of nylon, manufacturers can add more weight into a polyester carpet to make up for what can’t be achieved in terms of robustness and strength. The difference in price, coupled with advances in extrusion equipment, has allowed for the development of properties that make for a better piece of carpet. While the same adhesive coatings that were available years ago are still largely used today, alternatives to latex binders have been introduced. Urethane as a binder offers added resistance to cold and flexibility, which has led to its increased popularity as a binding option. Manufacturers such as Shaw and Mohawk have developed hot melt systems that use a modified polypropylene system and polyester respectively, as binders. Benefits such as being easier and faster to install, being odourless and free of VOCs, are all possible thanks to this development. Many consumers have such an array of hard flooring options to choose from that they typically aren’t installing broadloom carpets in their living spaces anymore. Even though broadloom revenue has declined over the past few years, it remains the single biggest flooring category in the USA in both units and dollars. 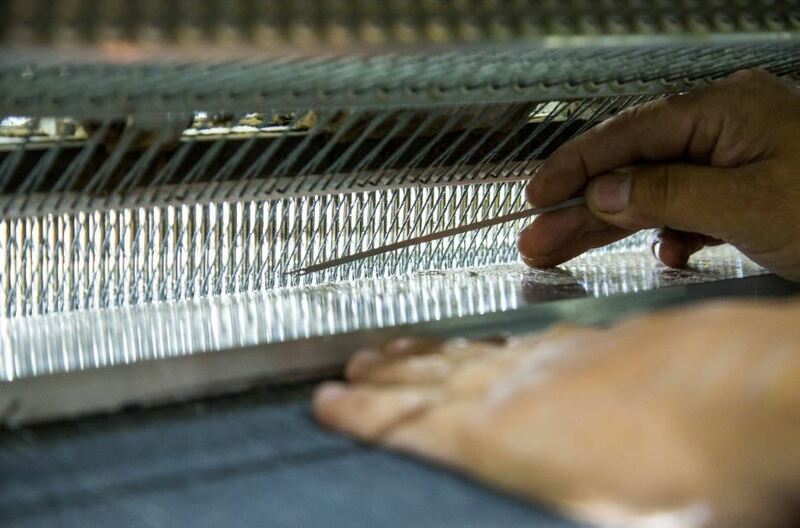 While consumers believe that hard flooring gives them more options in terms of better durability, moisture resistance and ease of maintenance, the improvements in the way carpet is being manufactured make it a viable competitor in this sphere. The spectrum of design options, including performance characteristics such as pet proofing and stain resistance, mean that customers who are looking for a reason to buy carpet will quickly be able to find a product that meets their requirements. Carpet is still seen as a luxury item and customers are willing to pay more for quality products, even if they don’t want this floorcovering in the majority of their home. Educating customers on the options available and the advantages of carpet is now in the industry’s hands. Carpet can suit many projects, both aesthetically and financially, and it will remain a category of consequence well into the future. When it comes to carpeting for the corporate sector, Dr Mehran Zarrebini, head of Van Dyck Floors in South Africa, says that they are now focusing on manufacturing smaller batches of bespoke products which allows for greater design flexibility as well as the ability to manufacture branded carpeting. “These developments have been well-received by architects and interior designers. The next development in carpeting will be the use of biomimicry – patterns that emulate nature,” says Mehran. “In the not too distant future, I believe that major inroads will be made into creating carpets that repel dirt and are self-cleaning as well as carpets that can remove Volatile Organic Compounds such as those from glue and paints. In the meantime, carpets remain a great option for great comfort,” says Mehran. Nickey Pringle from FloorworX says that most of South African manufacturers do not use polyesters such as nylon. “Nylon is the most common carpet fibre in the market, largely due to its strength. It has a longer lifespan than any type of carpeting fibre, making it a great choice for high traffic areas. Nylon can withstand 10 years of use or more, even in commercial applications. It is also static and mildew resistant,” says Nickey. Olivia Munchin from Nouwens Carpets South Africa says that while wool is not considered a fibre of choice any longer, it remains a beautiful and complex fibre that has evolved over thousands of years to protect sheep through a wide range of climatic conditions. “There are two types of wool cells, namely para-cortex and ortho-cortex. These grow at differing rates, causing a three-dimensional corkscrew pattern of coiled springs that act like shock absorbers, giving wool high elasticity, and a ‘memory’ that allows the fibres to recover to normal size after stretching. Wool fibres can be extensively stretched without breaking, and still bounce back. Wool has unique properties that many consider the fibre of choice as wool is also incredibly soil-resistant. It releases soil up to 25% more readily than synthetic fibre. The cuticle, or outer layer of the wool fibre, has a finely waxed surface with overlapping scales to keep soil in the outer area of the fibre, where it is easily removed by simple vacuuming,” says Olivia. “This cuticle or membrane also prevents water from penetrating the individual fibres; however, it does allow the fibre to absorb moisture in vapour form. Consequently, wool can absorb up to one-third of its weight in moisture without feeling damp, making it resistant to static electricity. Likewise, it helps wool recover from pressure marks. This unique set of wool characteristics ensures that a well-engineered carpet has an amazing appearance retention, enabling it to ‘grow old gracefully’. When one looks at the various developments in synthetic fibres, one will recognise that they attempt to incorporate many of wool’s natural features. Wool’s high moisture content and protein constituents provide natural flame resistance and this is why wool is used in aircraft and many hospitality installations,” adds Olivia. Thanks and acknowledgement are given to Floor Focus/www.floordaily.net, www.floorworx.co.za, www.nouwenscarpets.co.za and www.vandyckcarpets.co.za for the information contained in this article.